Late last month, police in Needham, about a half hour west of Boston, reported numerous power lines were taken down by a tree company that had been working to trim nearby branches. Our Boston workers’ compensation lawyers know that as spring approaches, this kind of work will be increasingly in demand, and the risks will inevitably be heightened. Not only does it pose dangers to workers actually doing the trimming, it’s also a concern for utility specialists, nearby construction crews and emergency responders. In this case, the workers were attempting to trim the overgrown branches of a tree situated near numerous power lines. In the course of this work, cable, phone and electricity lines were downed when a portion of the tree fell onto those wires. The incident resulted in a loss of power for several hours as utility crews worked to repair the damage. 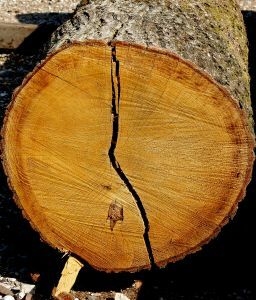 Among the greatest perils for workers who are trimming trees are falling, electrocution, and the risk of being injured by objects or projectile debris or by dangerous equipment. In fact, tree trimming is one of the country’s riskiest occupations. The most recent statistics available from the Bureau of Labor Statistics in 2009 indicate there were nearly 2,100 tree trimming injuries that year. Unfortunately, the industry is not well-regulated. Independent contractors are hoping to outbid the competition, but they may be doing so by cutting safety corners for their workers. Those working with lifts need to ensure that the access is controlled and that the trees are inspected for any structural weaknesses before a person begins the climb or cut. Additionally, safe work procedures should help to limit the risk of inadvertent cutting of safety belts, straps or ropes. In order to avoid contact with electrical lines, each company should have a qualified line-clearance tree trimmer who can advise on potential hazards in a given location. All electrical power conductors should be treated as if they are energized, and consideration should be given to the fact that wood or other equipment may act as a conductor for that power source. Those working with chain saws should check the chain tension, handles, bolts and controls to be sure it is all in working order before put to use. The area should be inspected for downed electrical lines before the work even starts. If a power line is downed, crews should maintain at least a 10 foot distance from the wires and a barrier should be clearly established until utility crews come to repair the damage.